The SDEA Theatre Arts Conference returns on 30 June and 1 July 2017. The conference brings together artists, applied theatre practitioners, teaching artists, arts managers and academics who work with theatre arts. It is a platform for practitioners to share their experiences, methodologies and research in making theatre in the performance, education and community sectors. 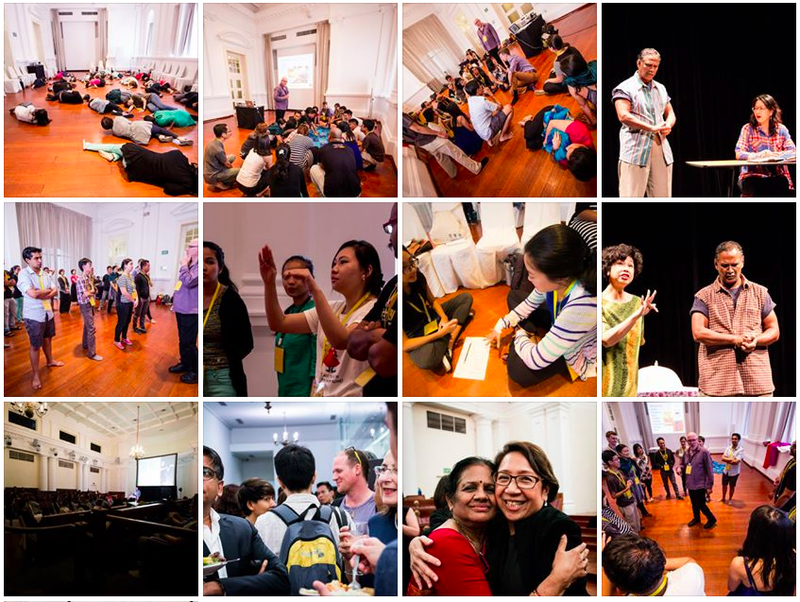 The SDEA Theatre Arts Conference Programming Committee is seeking proposals from the global community that reflect possibilities in making theatre by young people and for young people with a special focus on work done in the Southeast Asian region. Conference proposals will be accepted until Sunday, 18 Sep 2016, 2359hrs. Please download the info sheet and the proposal form in the links below. We hope you will share this information with friends in the theatre industry in your countries and join us for an enriching conference in 2017. SDEA Theatre Arts Conference invites proposals for 2017! Be part of the conference. Here’s how! 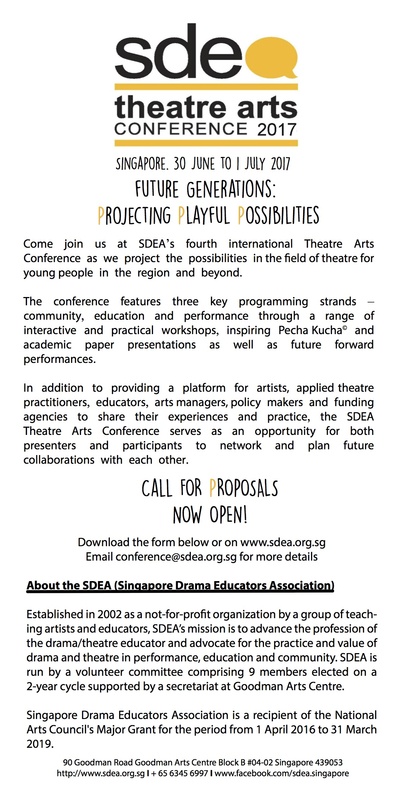 Advance booking for SDEA Theatre Arts Conference will open in November 2016. Please help spread the word about the event by sending this email to your colleagues. To ensure you are kept informed of all conference news and developments please join the mailing list. SDEA Theatre Arts Conference is for artists, teaching artists, applied theatre practitioners, arts managers, researchers and organisations working in teaching artistry / participatory arts / community arts / arts in education and learning. email us at projects@sdea.org.sg or call us at 6345 6997. Copyright © 2016 Singapore Drama Educators Association, All rights reserved.